I love one pot meals, where you get all your ingredients into one pot, whether it's a slow cooker, crockpot, oven or stove top cooking. It cuts down on the washing up and you can often leave your meal to cook itself. From Lobster Mac and Cheese in the slow cooker, to Jambalaya - there are so many gorgeous meals you can cook in one pot, that it's going to be difficult to choose. Some of the meals are totally complete, with the carbs already included in the pot. Other casserole type meals will benefit from some bread to mop up the juice. These meals are perfect for when you don't have much time or space - say camping. In most of them you'll be able to substitute whatever fish you like - it won't be the same, so 'Lobster Mac and Cheese' for instance becomes 'something else Mac and Cheese' but it will work. 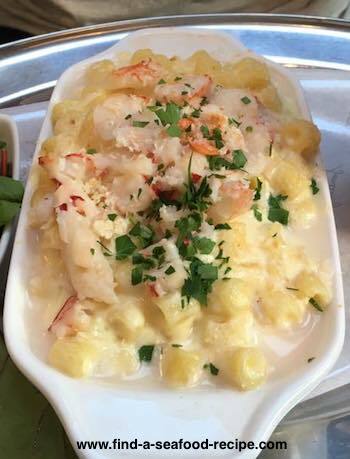 BUT if you go to Slow Cooker Mac and Cheese, you'll see how you can make it a one pot dish, just add your cooked lobster before serving. 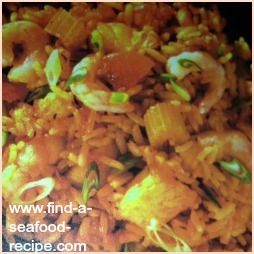 You could substitute shrimp, crab, even ocean sticks or crab sticks (depending on where you live). 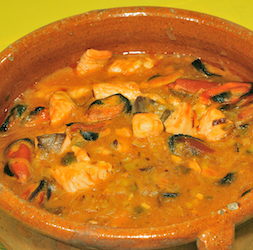 This catfish stew is exactly what you need for a quick meal when you come home from work. Preparation is about 5 minutes and total cooking time is 30. All the sauce, vegetables and potatoes are in the pot - the fish goes in for the last 5 minutes to cook through. 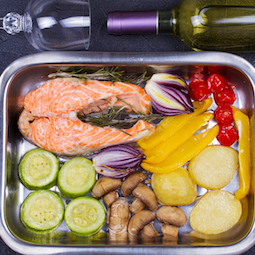 It's perfect for a camp meal, one pan using one cooking ring - you can use your catch of the day. Any white fish fillets will be good with this. 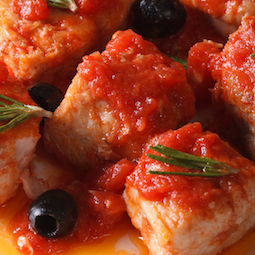 A gorgeous Mediterranean style Tilapia Stew. Again, any white fish fillets will go in this dish. The tomato sauce that it creates is just right for crusty bread to mop up. There is already zucchini and onion in the dish, but you could add more diced vegetables if you like. Say, diced bell pepper would go well. The whole dish takes around 30 minutes and is just one pot. This easy baked salmon recipe is another one of my 'best' seafood recipes. In fact, I use this method for cooking pork, chicken or lamb pieces too. It's very much a chuck it in the pan, put the timer on and walk away. The potatoes will take longer to cook than anything else and there's two ways round this. Either parboil them for ten minutes OR cook them for thirty minutes in the oven before adding your other ingredients. There is enough for two people here - that salmon steak is very large and is a generous portion for two. Jambalya cooked in the crockpot. Perfect one pot meal. You can either use cooked rice and stir it in for the last few minutes or if you prefer to use raw rice, then it only needs one to two hours of cooking. Any more than that and it will become a mushy mess. 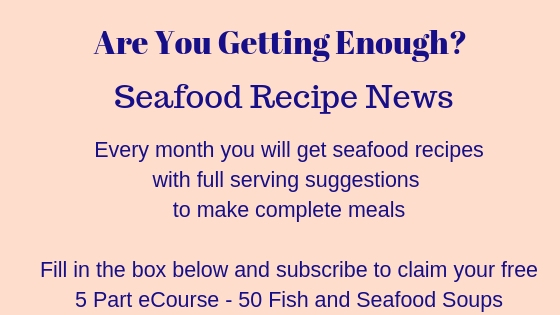 A super simple Seafood Stew that has the sauce, vegetables and potatoes included. A true one pot meal - perfect for camping - add some crusty bread to mop up the juices and you've got a really quick, tasty meal. 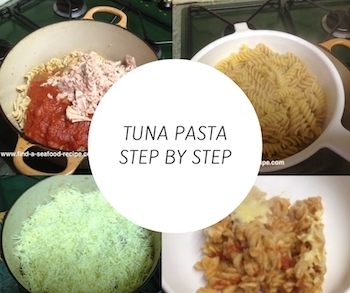 One pot Tuna Pasta Recipe. So simple and tasty. 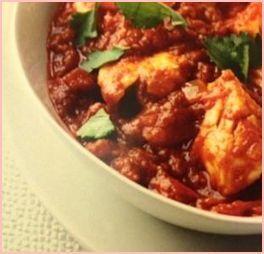 You can get this on the table quicker than you can send for a takeaway and at a fraction of the cost! This is the first recipe my son attempted as an eight year old and a very good job he made of it too! It's a great tea and the leftovers (if there are any) are perfect for taking to work for lunch.